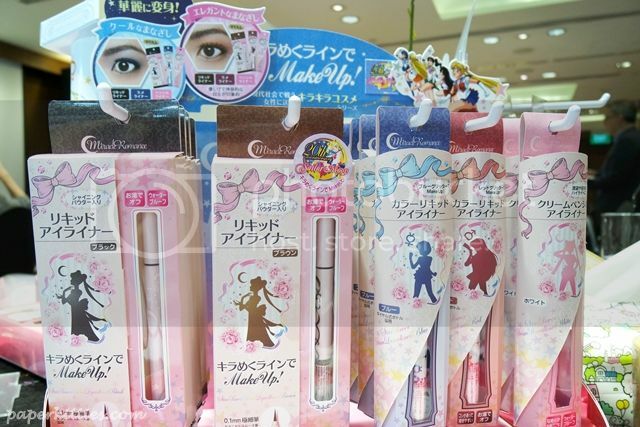 Hailing all the way from Japan, the much raved and most awaited Japanese Anime makeup line, Creer Beaute, is now available at selected Watsons stores in our sunny island! A little introduction about the brand, Creer Beaute is the cosmetic subsidirary arm of Bandai – the Japanese toy making, anime and video game company. 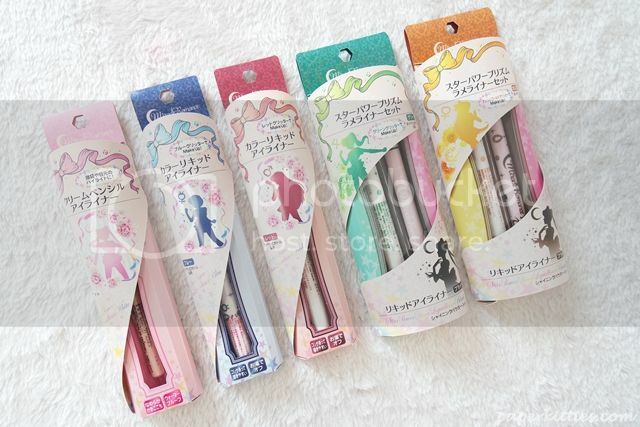 Famous for its Versailles and Sailor Moon series of makeup products, I will be reviewing on their eyeliners today! 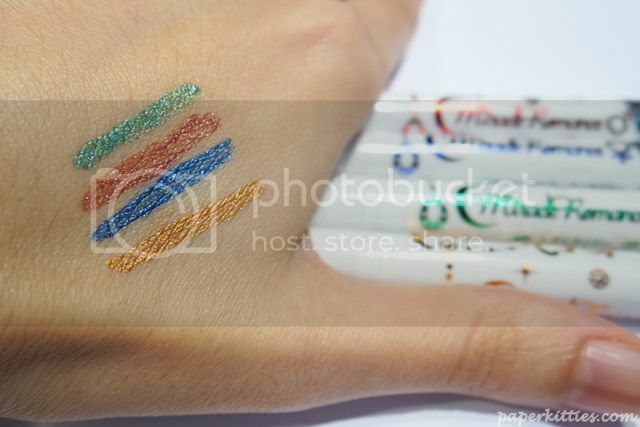 *Both sets come with Miracle Romance Star Power Prism Liquidliner Black and Brown respectively. 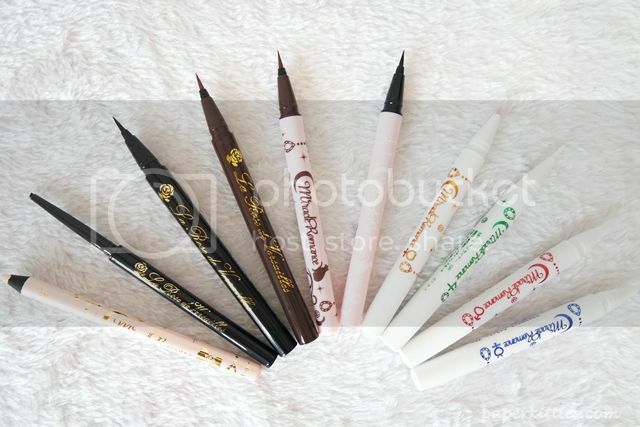 I much prefer the liquidliners and penciliner in this Miracle Romance series though! 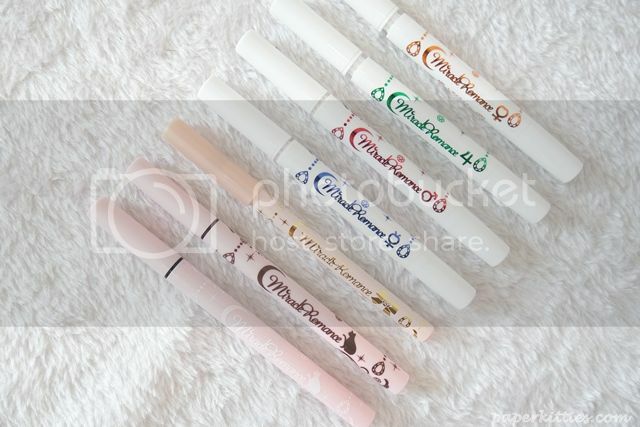 The liquidliners are amazingly easy to apply with its 0.1mm fine tip whereas the pencilliners is creamy in texture and perfect for lining the waterline or used to create the puffy aegyo-sal. 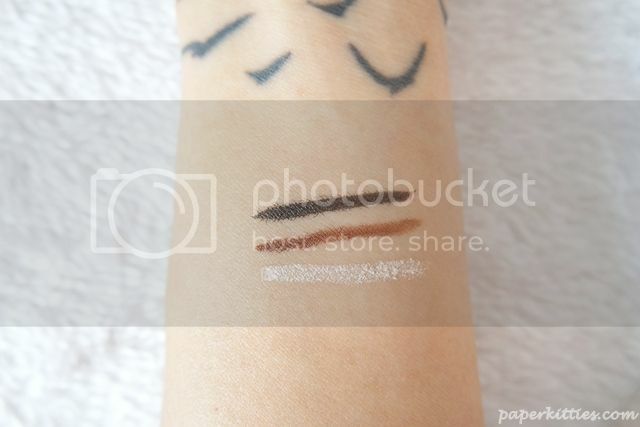 Just like all of Creer Beaute eyeliners, they are all super long-lasting, smudge and waterproof! 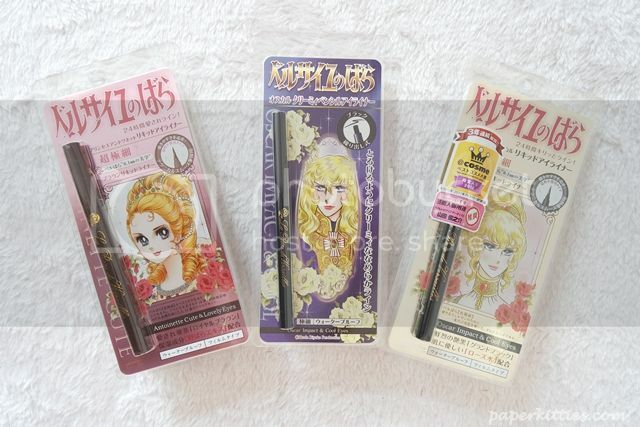 Another popular line under Creer Beaute, Versailles is based on a manga The Rose of Versailles – one of the best-known titles in shojo manga focusing on a girl raised as a man to become her father’s successor as leader of the Palace Guards. Did feel kinda intrigued in reading this comic after reading its synopsis… any one a fan of them? 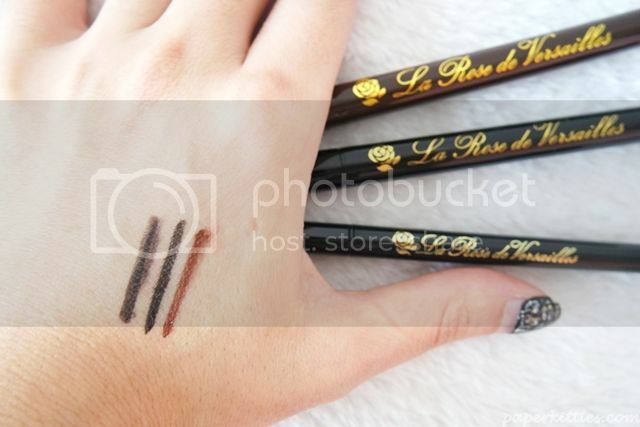 The liquid eyeliners are perfect for achieving the natural or glam look with its fast drying fine tip, I also like how the royal brown shade is much lighter than the usual brown shades we are accustomed to; it’s always nice to have something unique in my ever growing eyeliner stash 🙂 The pencil eyeliner, on the other hand, is creamy in texture and easy to apply. Added with deeply moisturising ingredients, it is also good for lining your waterline without fearing that it will smudge! And that’s all for tonight, have a good week ahead kitties!